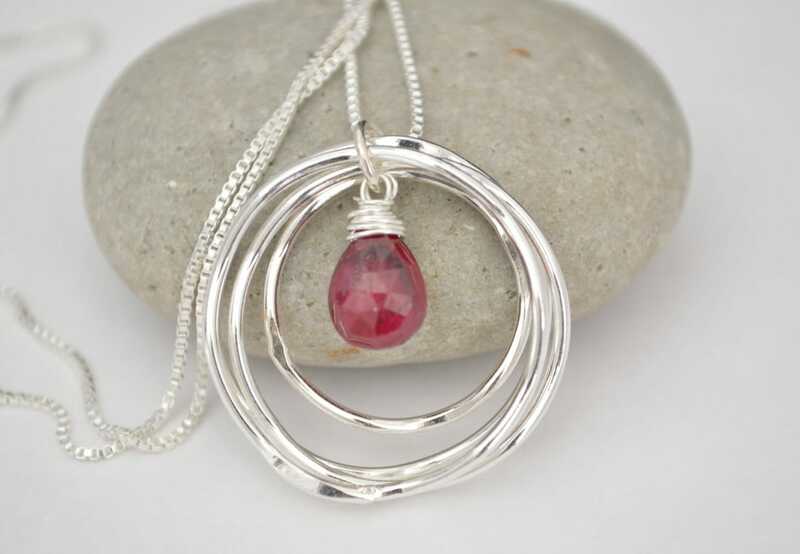 To own a ruby is said to have contentment and peace. 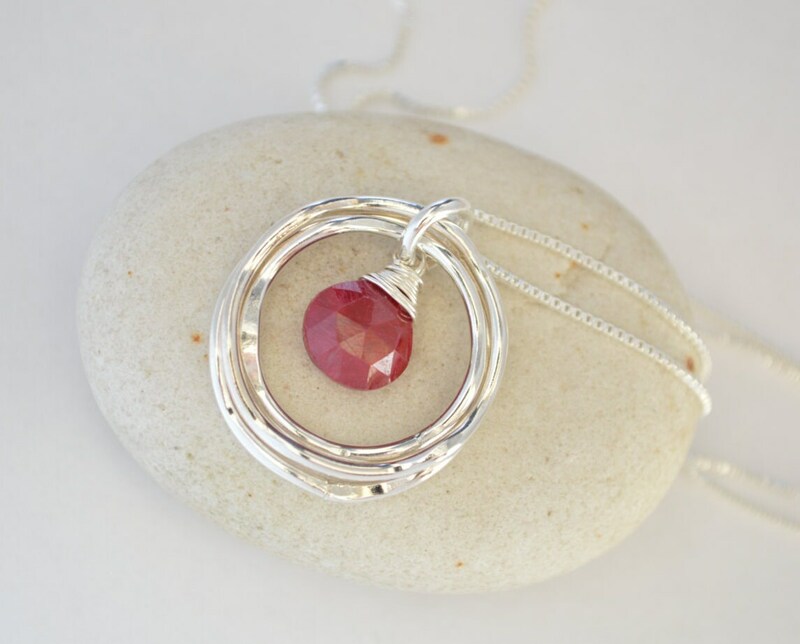 Given as a gift, the ruby is a symbol of friendship and love. The ruby is also the symbol of vitality. 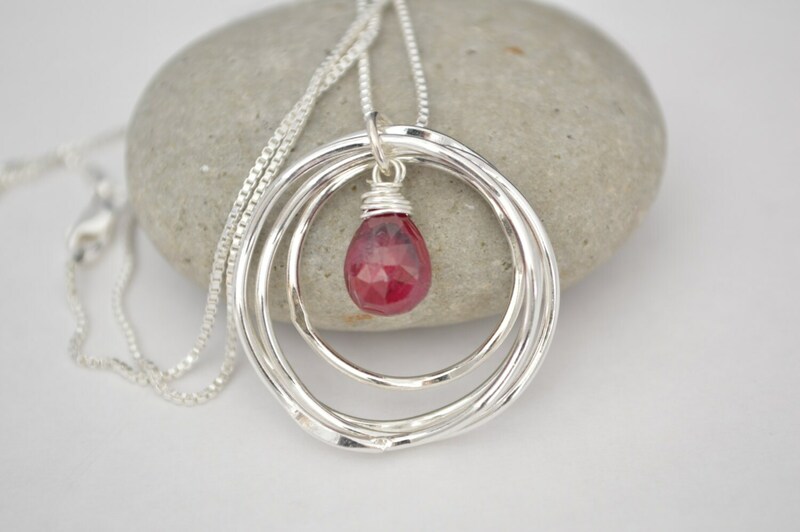 This design includes 4 twisted silver rings necklace with a gorgeous ruby stone in the middle. The rings and the chain are made of sterling silver. Perfect to be used on any occasion. 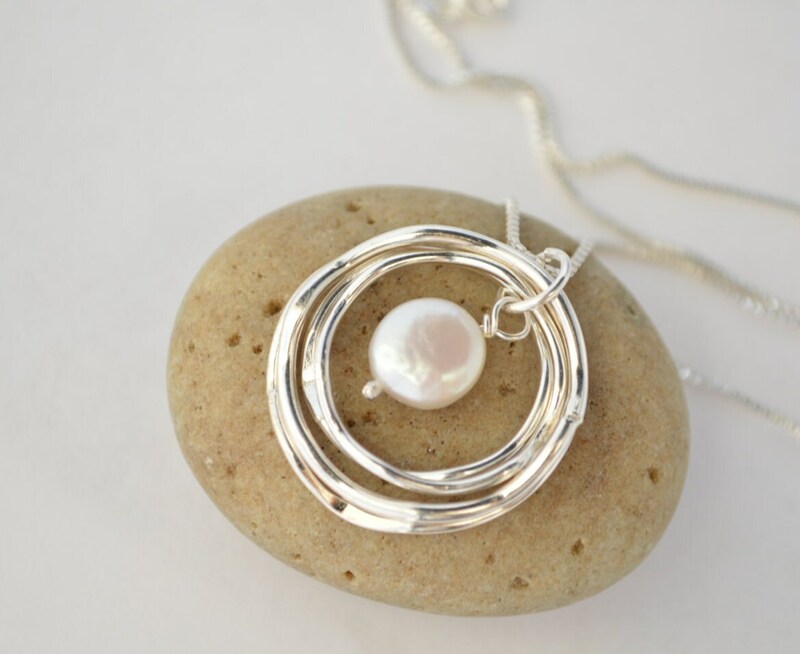 Makes an "à propos" gift to celebrate 4 something (decades, friends, sisters, children) or any significant personal combination (3 children and a husband, 3 girls 1 boy)!